new Audio Streams have been recorded. over 4 thousand audio streams so far. 12 megs (280.thousand lines) The thousands of lines of dialogue along with all the audio files is the most tedious job of them all. and responses and different conditions in the game. The Array lists act like a manager. display the text that in the widget during the game. 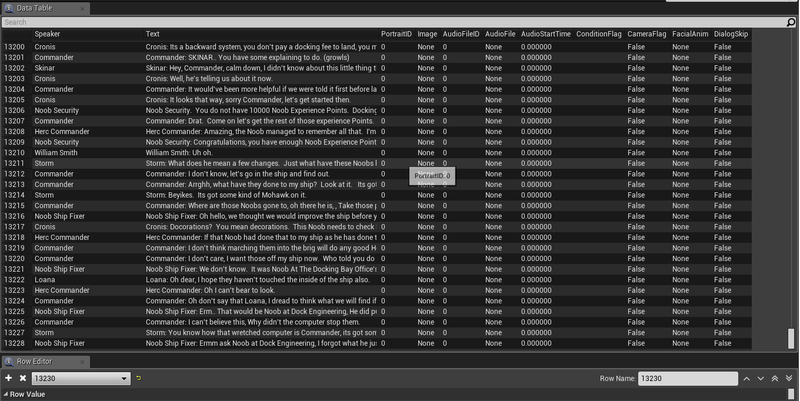 The Game does also use the Engine's Built In Text Subtitle System for various Dialog.